The German Champions League finalists are ready to release no less than two new shirts for the coming season, where the Germans will be hunting for even more success both in Germany and abroad. They will be facing stiff opposition from mighty Bayern Munich, but last season proved that they were an outfit to be wary of. Check out their new shirts here. 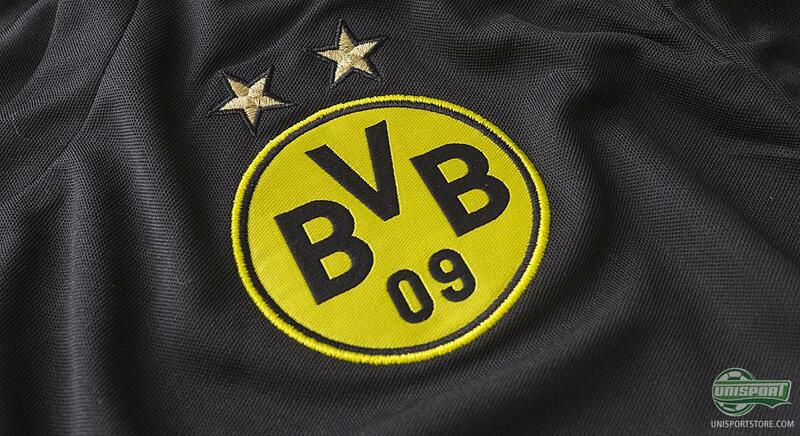 It was tantalisingly close for Dortmund on the 24th of May. The German giants were in the Champions League final and after Gündo?an leveled to make it 1-1, they smelled blood. Ultimately it was not enough to stave of, the seemingly unstoppable force, that was Bayern Munich, who in cruel fashion snatched a late winner. The disappointment was great, but Dortmund could hold their head high, as they wowed fans across the globe, with their free flowing attacking play. In the coming season, payback is on the cards, when Dortmund set their sights on Bayerns league throne and vengeance for the lost Champions League final. They are on the warpath and when going to battle you need the right armour. 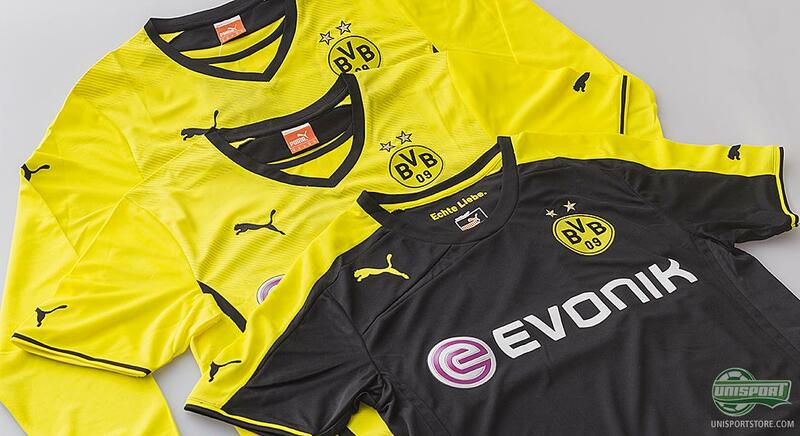 With the presentation of the two new shirts, Dortmund are ready to take on anyone next season. You can pre-order the new Dortmund shirts on Saturday night, at 00:01 right here  prises start at just 51. It is again Puma, who have produced and designed the shirts and they have, as always, put great effort into these shirts. They will be facing up to Bayern Munich, who last season were frighteningly strong. 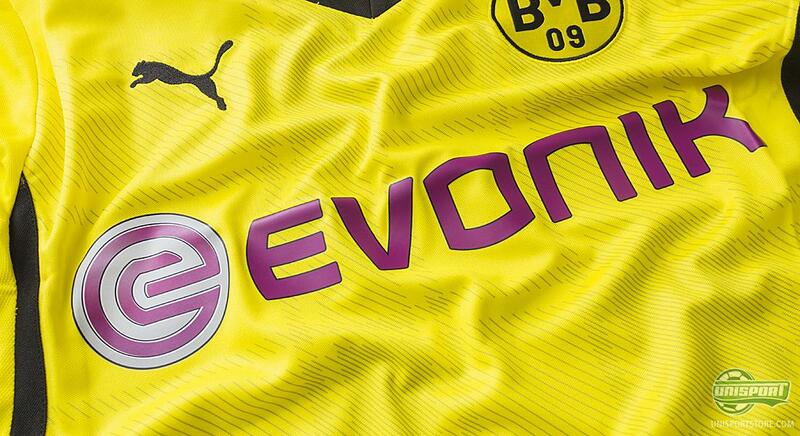 If your shirts are a signal of strength, then Dortmund definitely look ready for a season of payback. Unsurprisingly the home shirt is still the well known yellow and black colours, which has become a colour combination that any football fan will recognise. 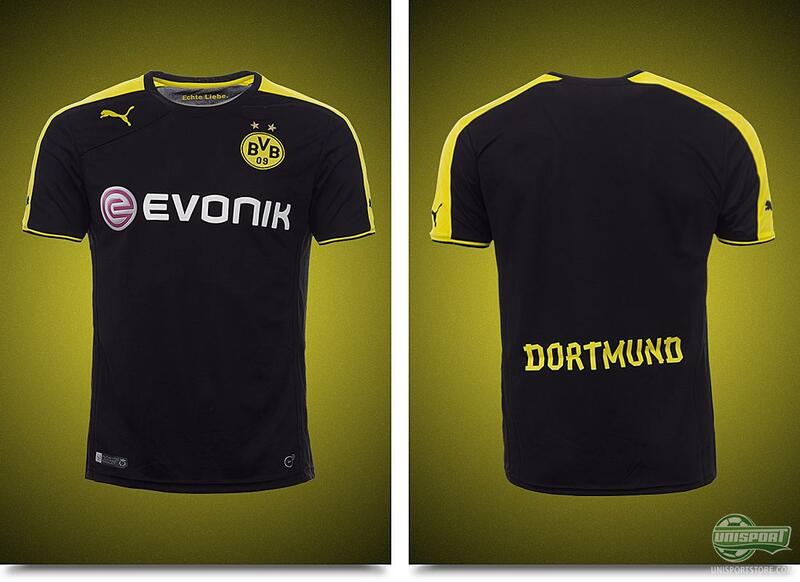 It is the shirt, which Dortmund will wear when they play at the Westfalenstadium, trying to reclaim their lost Bundesliga title. On the home shirt you find a dead sharp design, where there has been made room for several dynamic and thin stripes, which give a stylish and elegant look, combined they make up a tartan pattern. To complement the thin stripes, two slightly thicker stripes run down the side of the chest and create a slim and athletic look. That is the small stripes, which come together to make a bigger picture, have found their way to the shirt, is no accident. 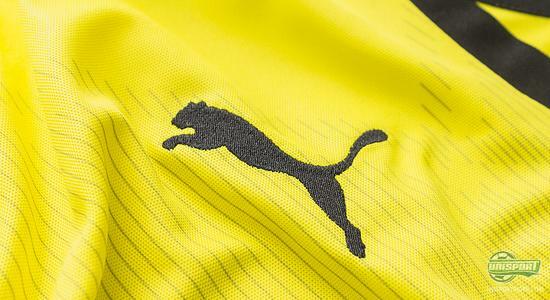 It is an intentional symbol from Puma, to show the philosophy, which the fans and the players share. It has brought them great success, with league titles, trophies and Champions League campaigns aplenty. When Dortmund move away from the comfort of their stronghold home ground and intake Allianz Arena, or Arena Auf Schalke, they need equally awesome kits to accompany them. 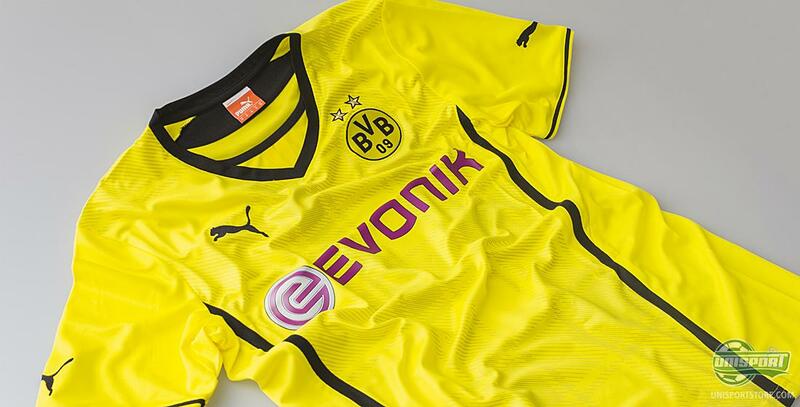 Puma have certainly delivered and Dortmund can look forward to travelling away from home in style. 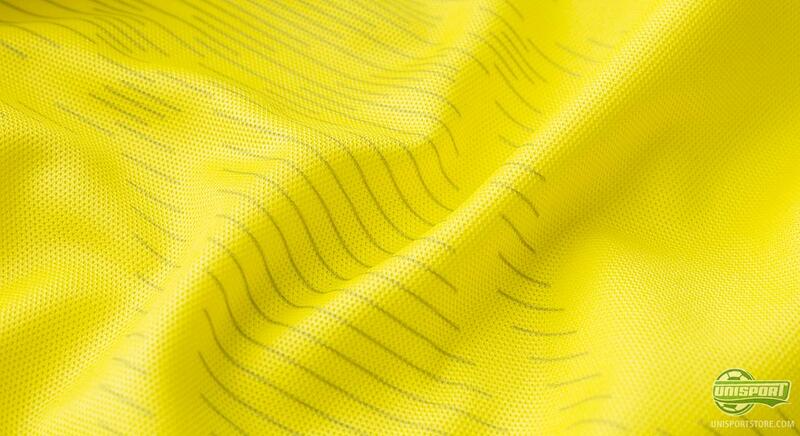 The shirt is mostly black, but for the yellow stripes across the shoulders and it gives it an elegant and classic look. 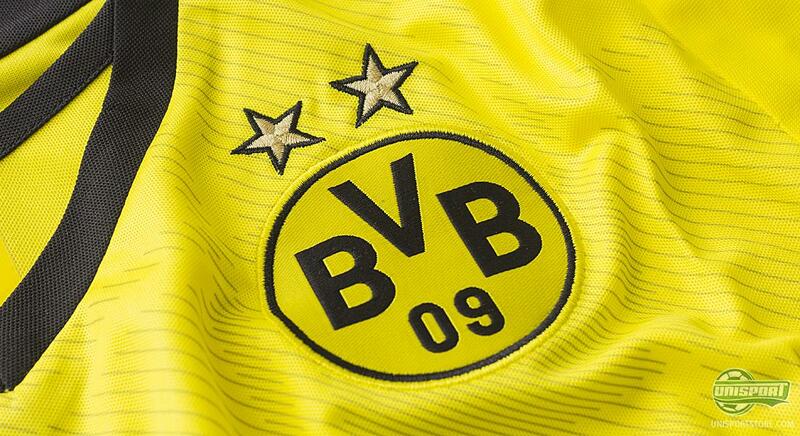 It gives the effect that even though Dortmund are playing away, they still carry a little of their home with them. Puma hope this can spur them onto bigger and better things next season. 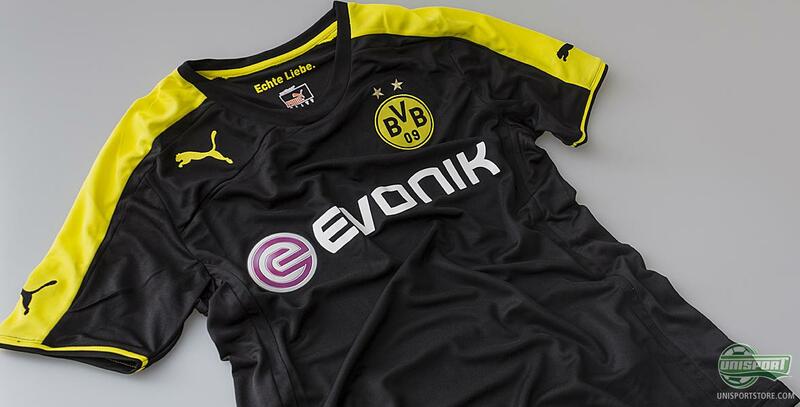 And to make sure Dortmund fans don't forget the club and its proud traditions, you find Borussia Dortmunds slogan in the collar. Echte Liebe is written, which means something as moving, as true love. When you see the impressive atmosphere produced by the Dortmund fans, this is definitely something they seem to live by. All the shirts are made with Puma's very latest technologies, which work to give a nice fit, while never compromising on the always important comfort. 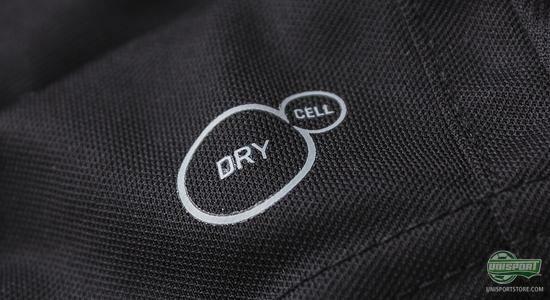 One of them is the Puma technology, DryCell, which is made to direct sweat away from the body and ensure a comfortable body temperature. 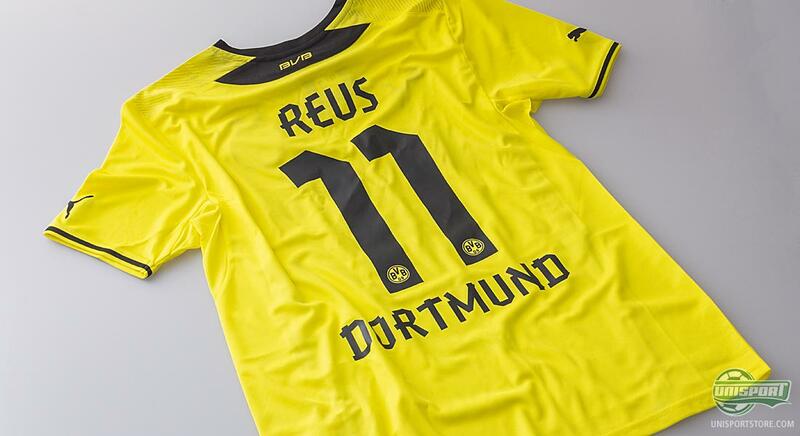 The launch of Dortmunds new shirts is something we have looked forward to, since the Champions League final back in May and we were not disappointed. 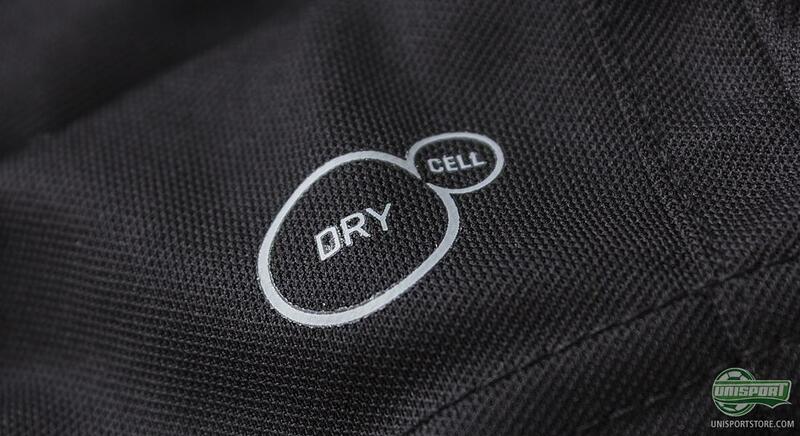 We are very impressed with the shirts, but what do you think? Can they reach new heights in this shirt? We would love to hear from you in the comment-section down below, or on Facebook and Twitter.